Apple is privately acknowledging an issue with the enclosure on some of its white 13-inch MacBooks, which in some cases have seen the formation of hairline cracks during normal usage patterns. The Cupertino-based Mac maker is said to have issued a bulletin to its authorized service providers in March that essentially reverses its stance on replacing the bottom casing of notebooks that may be experiencing these symptoms. It was reported in November that Apple was refusing to cover repairs for the bottom casing of the notebooks despite its willingness on occasion to address identical problems with the top portion of the casings containing the keyboard and palmrests. The bulletin to providers reportedly identified four key areas of the case prone to hairline cracking, including the front portion of the case below the palmrests and trackpad, the areas around the I/O ports, the back rear corners, and the back rear ventilation area. Apple added, however, that other portions of the case could be affected by the cracking issue. For all instances, providers were reportedly asked to inspect the MacBook carefully to determine whether the cracks could be the result of the notebook haven been dropped or other accidental damage caused by the owner. In the event that providers are unable to identify signs that the user is at fault for the cracks, they're advise to escalate the notebook for coverage by Apple, regardless of whether its 1-year limited warranty has expired. A collage of cracked white 13-inch MacBook enclosures. The exception also applies to the black plastic 13-inch MacBook that was discontinued last year, but does not extend to any other member of the MacBook family, according to those familiar with the matter. Last October, Apple transitioned its entire notebook line to arguably the most durable aluminum unibody enclosures on the market. It has, however, continued to sell a single version of its legacy 13-inch white MacBook for $999. No surprise here! Apple is famous for cracks! Macbooks + iPhone = lots of cracks! Does Apple ever produce a product without a problem? Anyone else wanna add to the list? It looks like the same plastic used in white iPhone. Apple should really drop using plastic in general, it just so bad. No- Apple needs to just stop using CHEAP plastic. There are much better grades- just look at many of the other laptops around. AppleTV- Cracks, heat issue , scratch inducive and standby mode issues. 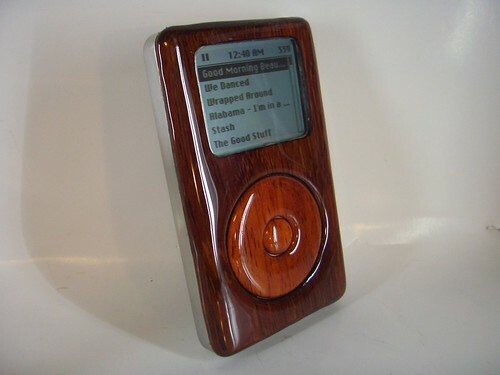 All iPods with metal backs- scratch inducive. I've got an unsightly crack in the plastic on my Macbook's palm rest. I'm out of warranty by now. You think I could I bring this into the Apple store to have it repaired? Who is the "provider" referred to above that would be inspecting this and escalating for coverage by Apple? You won't find a single product from any company that never showed cracks or flaws for any user. And you won't find a product where people aren't more likely to post about a problem than to say "all is well." This creates an impression that a rare (but still bad) problem is the norm. That's human nature. This is not to excuse Apple--products SHOULD be perfect, it should be immediately clear to everyone what is and is not abuse, and repair policies should be fully established in the consumer's favor from the very start--not corrected late as has happened in this case. When Apple fails to meet these standards, they should be called on it. However, it's not some "Apple specific" problem. Has a mother ever produce a product without a problem? inducive? You're saying the plastic itself directly "causes or influences" the cracks? I think you mean normal circumstances are "conducive" enough to cause cracks in the plastics. The plastic itself doesn't cause the cracks. the ones shown in the Apple Insider article have only subtle cracking compared to some of the MacBooks in this Flickr group which have missing pieces and huge cracks (my MacBook is in this pool of photos). The palm rest on mine has chipped at the edge just through normal use. I noticed a man on the train a few weeks back and his had done the same. Apple designs and makes products that scratch so you buy it again and again and again because it does not wear well. I am glad they got sued and lost in court for the 25$ million. More suits need to follow! Truth hurts right? Sorry to burst your bubble. You see, Fanbois like you let Apple get a way with it and this is why you get problems with every single product they make. Now if people voice their opinions, Apple would listen. I suggest you keep your defects and stay happy! I will continue to complain because I pay a premium for the products and I expect a PREMIUM product. Ha, apple cares about $25 million. Sure. You have any idea how much money they made on those first-gen nanos? Selling a $200 product at 40% margins, then 5 years later being sued and paying back 10 bucks per customer is a slap on the wrist, at BEST. My MacBooks is cracked. I never even thought to bring it in, I just applied some tape and was done with it. Some of you should take better care of your stuff. THESE sites are APPLE related. NOT Microsoft related. I am tired of going to Macdailynews or AppleInsider or any other Mac site to hear about Microsoft or bashing Microsoft. I come to these sites to hear about APPLE! So you guys keep complaining about everything else but Apple, YOU in turn have asked for the bashing of Apple products because they are just as inferior to the competition. When sites start to refocus on their main subject - Apple... and we can discuss the good of Apple and not what Dell is doing with Adamo or what Microsoft are doing with Windows etc etc... Let us worry about Apple. We got enough problems with Apple to deal with! great to hear you spent tons of money to use tape on it.